In it's most authentic, original format this full ham comes directly from Jabugo, Spain, the birthplace of acorn-fed Iberian ham. This full ham represents the essence of Cinco jotas. 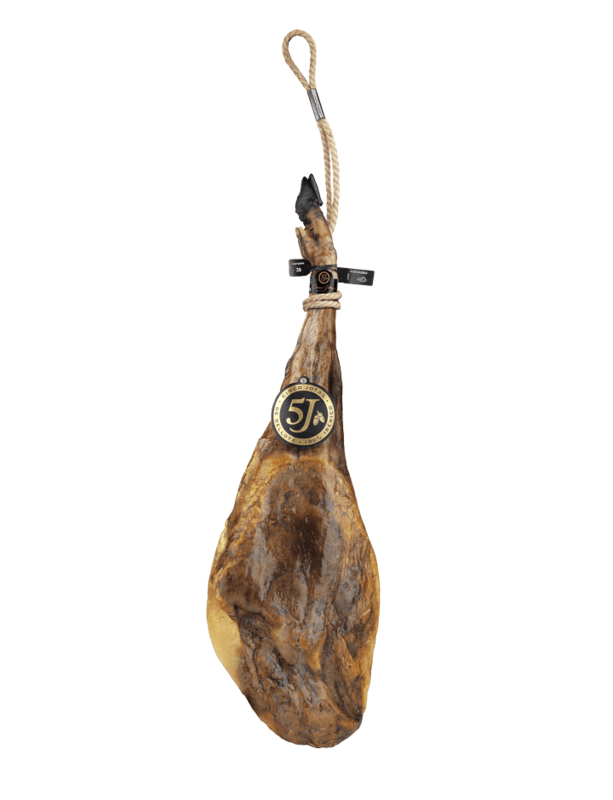 Created in Jabugo in south-west Spain, the birthplace of acorn-fed Iberian ham., a Cinco Jotas ham is exceptional in every way. Each ham is unique and is the result of 4 or 5 years of maturation in the Jabugo curing cellars. Create your own magnificent masterpiece, sculpting your very own ham, and impress everyone with your talents on display together with the most exclusive ham in the world.